The first Library Association in Hardwick was founded in 1802 and was a private library that subscribers could purchase access to for $2.50 a year. The collection was housed in a store in Hardwick owned by the Hammond and Mixter families (Paige, 1883). It was not until 1880 that a proposal for a free public library in Hardwick was discussed at a Grange meeting, and the Ladies Library Association of Hardwick was founded and began fundraising to purchase a collection. Under the guidance of Mr. Green, librarian at the Worcester Public Library, the Ladies Library Association was able to develop a collection of over 800 books by 1889. The library was originally housed in the school owned by Hon. William Mixter, and the space was donated to the Ladies Library Association at no charge. Patrons of the library were able to purchase the current catalog of books for 10 cents, and after that could use the library for free for one year (Bancroft, 2003). During the celebration of Hardwick’s 150th anniversary, Dr. Lucius R. Paige and his wife Ann M. Brigham announced that in their will they would give the town their private library of over 2,000 volumes and a permanent fund to maintain the library. 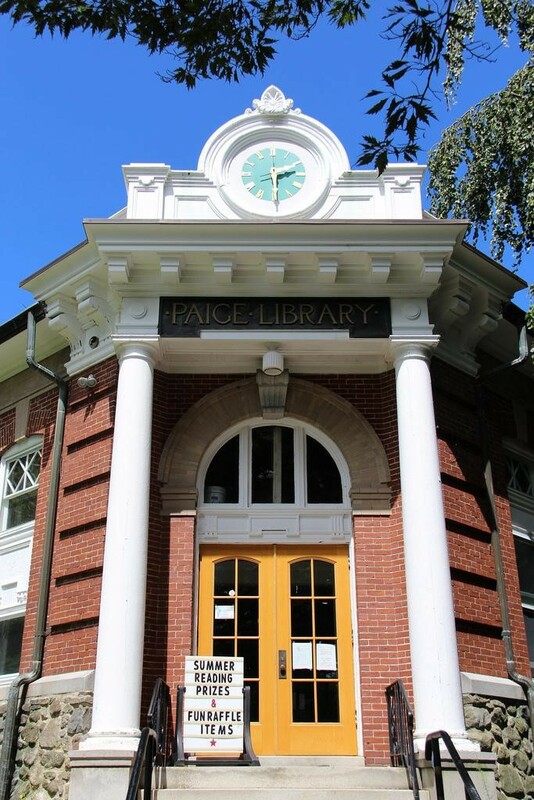 His only conditions were that the library should be established within one mile of the Town House, and that the library would be named Paige Memorial Library, in honor of his ancestors (Bancroft, 2003). In 1894 the Ladies Free Library Association voted to loan all of their resources to the Hardwick Free Town Library, and in 1896 the bequest from the Paige family was received by the town. In 1903, the trustees of the library received a $3,000 donation to construct a new library building in the center of town. This building, which was completed in 1906, is still the home of the Paige Memorial Library today (Bancroft, 2003). Paige, Lucius R. (1883). History of Hardwick, Massachusetts, with a Genealogical Register. Boston: Houghton, Mifflin, and Company. Bancroft, Emily (2003). History of Hardwick, Massachusetts. Gilbertville: Town of Hardwick.